Our universe is an amazing place filled with glorious sights just waiting to be seen by human eyes. We previously brought you 10 amazing Hubble Space Telescope pictures and have been eager to showcase some more intergalactic marvels. From stunning stars, to gorgeous galaxies, to knockout nebulae, here are seven spectacular space photos to inspire and astound. 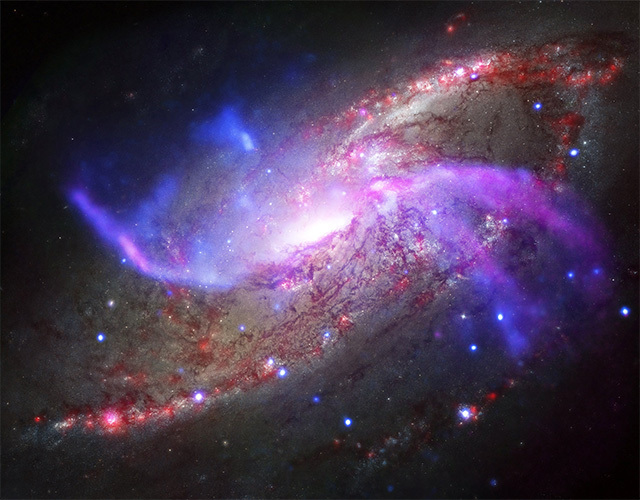 A spiral galaxy about 23 million light years away, M106 has two extra spiral arms that glow in X-ray, optical, and radio light.